Hard Rock brings casino table games to Rideau Carleton Raceway. Let the competition begin! That’s the cry of Ottawa gamblers-in-the-know this week as two of the areas casinos are now competing for customers on the felt. CTV News reports on Wednesday confirm the Hard Rock’s Rideau Carleton Raceway is now offering a full layout of live table games for their casino goers. The Rideau Carleton has been hosting slot machines since it first cut the ribbon in 1998. But it’s taken two long decades to get any table games on the floor. That final step also took a few years to accomplish, thanks to the lobbying efforts and lofty investment of universally-renowned Hard Rock International. The announcement was made in May 2017 that Hard Rock would take over day-to-day operations, and 51% ownership, of the Rideau Carleton Raceway in Gloucester, Ontario, just south of Ottawa. Hard Rock won the favor of the Ontario Lottery and Gaming Corp (OLG) with a “master plan” to invest millions of dollars into the property, turning it into a full-fledged, integrated entertainment resort. Hard Rock and OLG agreed to pool their resources, dropping $320 million into the project. This includes the construction of a 250-room hotel, signature Hard Rock music venue, four new restaurants, and an all new 140,000sf gaming floor. There are already 23 live table games installed; a number Hard Rock can increase to 35 in time. Hard Rock went all out when initiating its master plan for the Rideau Carleton Casino. 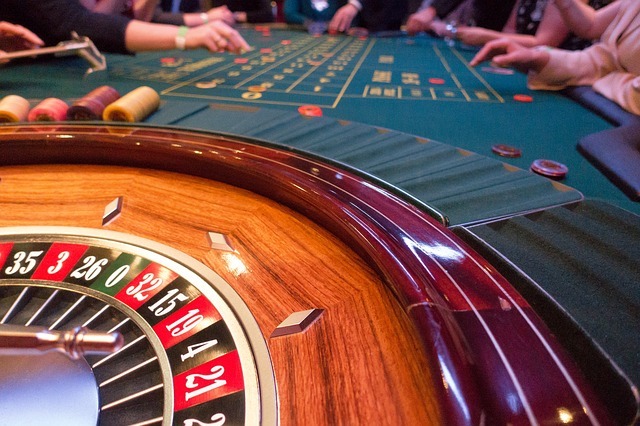 They’ve installed a wide range of table games that goes well beyond the usual favorites. 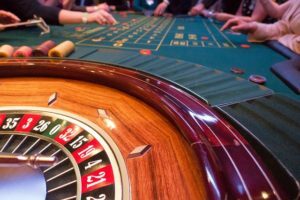 The Ottawa casino now boasts over 1,200 sot machines and the following list of live table games. There are now two Ottawa casinos offering table games for customers. Hard Rock’s installment eliminates the long-time monopoly on tables held by Casino du Lac Leamy, situated just across the Ottawa River in Gatineau, Quebec. Needless to say, operators there weren’t too thrilled by the news that Hard Rock would become a major competitor. Operators of that casino are preparing for the competition with a few renovations of their own. Casino du Lac Leamy is set to undergo a $47.3 million rejuvenation, mostly to remind visitors that it’s the number one destination for gaming around Ontario’s capitol. Will Hard Rock’s Reputation be Enough? While the Rideau Carleton Raceway is sure to be a hit in the early days of launch, will it be able to sustain a steady flow of customers? Casino du Lac Leamy may be across the river in Quebec, but it’s still closer to downtown Ottawa than Rideau Carleton. Plus, their game variety goes well beyond that of the Gloucester casino. Then again, the Hard Rock brand is known throughout the world. The company is renowned for bringing an unrivaled level of entertainment to its properties. The casino table games alone might not be enough, but overall, I think the competition between these Ottawa casinos is going to be fierce!